North end. 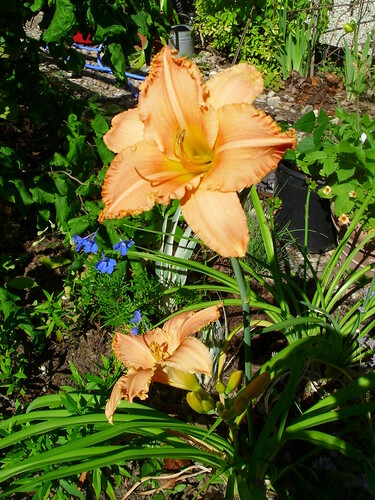 Two hemerocallis got moved into this bed about 2007 as they had shown no signs of flowering. One flowered last fall 2008 which I thought was Peaceful Prairie. 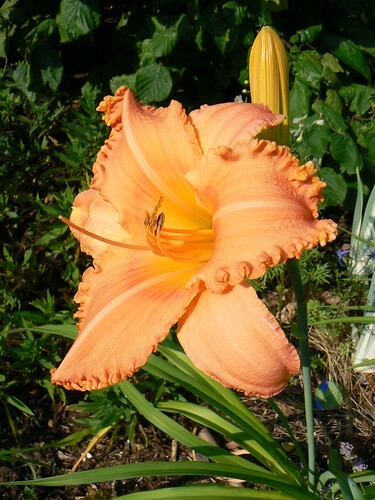 New Tangerine Twist: 33"h, blooms mid-season, 6.5" blooms, fragrant, ruffled tangerine-orange. 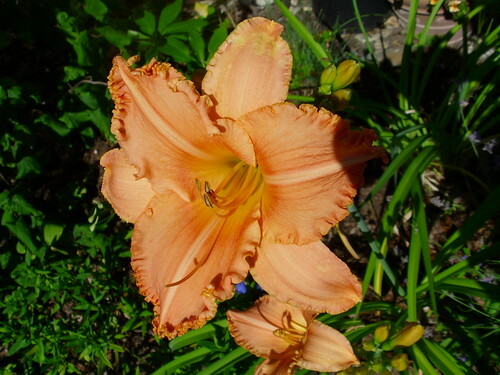 July 25 2009 – This is the one I thought was Peaceful Prairie last fall, however it is blooming mid-season (earlier than last year perhaps because of the hot weather) and is definately ruffled. I will call this one Peaceful Prairie until the other blooms and proves me wrong. 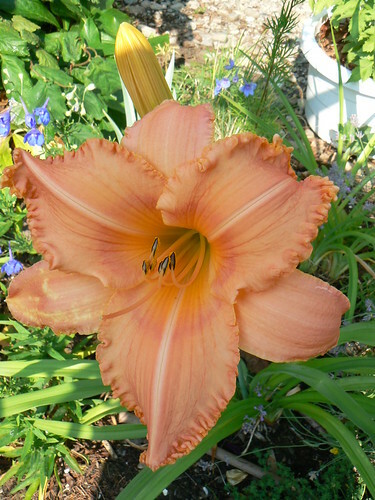 July 25 2010 – The blooms on this are 7"+ and it does not have the deep light green throat characteristic of Peaceful Prairie. So a reallocation of name. This planting is in the 7. Centre garden . Masses of blooms, but Peaceful Prairie is not quite so thriving, too much shade from the Hazel?